Genevac has remained an industry leader by partnering with customers to understand the obstacles involved in using centrifugal evaporation/concentration systems. This partnership has led to the development of a range of innovations including Dri-Pure®, SampleGenie™, temperature control and highly solvent resistant build quality making Genevac evaporators the leading tools of choice for this concentration of samples prior to analysis. Traditionally protocols for concentration of chromatographic fractions prior to analysis has involved drying multiple fractions in an evaporator, re-suspending pooled fractions into a single vial and then re-drying before storage and analysis. Even with modern centrifugal evaporators this process typically takes 2-3 days to complete. Now fractions can be pooled into a SampleGenie flask and dried directly into a submission vial in one evaporation run. SampleGenie is proven to reduce processing and evaporation times by up to 66% as well as eliminating the attendant risk of sample handling errors. SampleGuard and SampleShield temperature control are sample protection features included in all Genevac Rocket Synergy, HT and EZ-2 series evaporators. 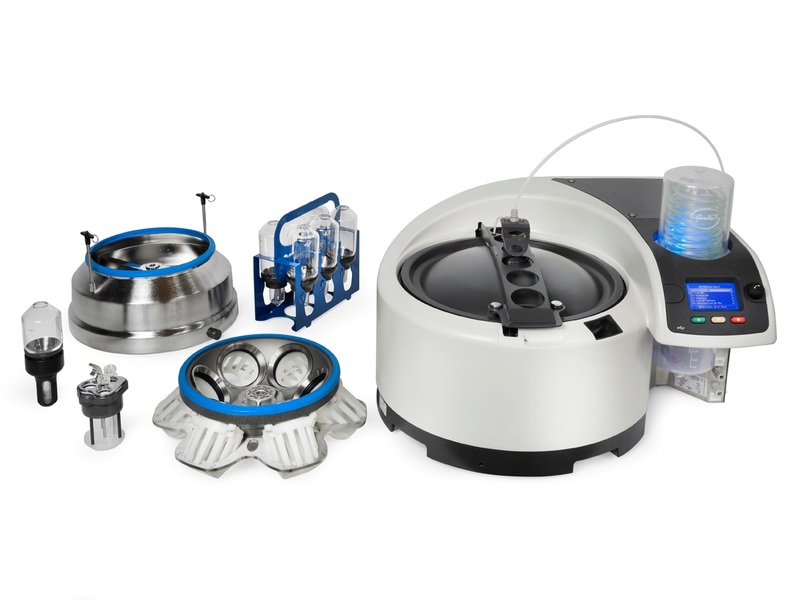 These proprietary technologies monitor and control the maximum temperature of the samples to protect them from any possibility of overheating when evaporation is complete. In addition, Genevac’s patented Dri-Pure® sample protection system prevents cross-contamination and sample loss due to bumping and is fitted as standard on Rocket Synergy, HT and EZ-2 series evaporators.